“Squad”-ing got annoying in 2016/17, due in part to Taylor Swift. And the fact that it had to be named. But we’ve always been obsessed with celebrity friendships, from Jean Harlow and Myrna Loy to Montgomery Clift and Elizabeth Taylor, to the Rat Pack, to the Brat Pack, to Friends, to Oprah and Gayle, to Matt and Ben and Winona and Gwyneth and Gwyneth and Cameron and Cameron and Drew and Destiny’s Child and whatever it was that Taylor was doing during the 1989 era. Taylor seemed to commodify friendship, which is why it quickly became so off-putting. Friendship was seen to be a branding device – and if it’s one thing no one wants to think of as exploitable, it’s friendship, even though, well, that’s what the Rat Pack was doing and that was also the appeal of Matt Damon and Ben Affleck: two young sweet-faced boys from Boston who just wrote a story and couldn’t believe they ended up on stage at the Oscars. Like that wasn’t part of the Good Will Hunting narrative. In Taylor’s case though, to be fair, with the timed social media drops after #Taymerica, it was one step too obvious, like we were mad at her for making it harder to believe in the illusion of the friendship. Because you couldn’t not see how curated it was. 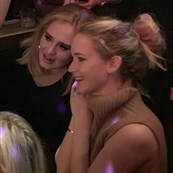 On Friday night Adele and Jennifer Lawrence showed up at Pieces, a gay bar, in New York. 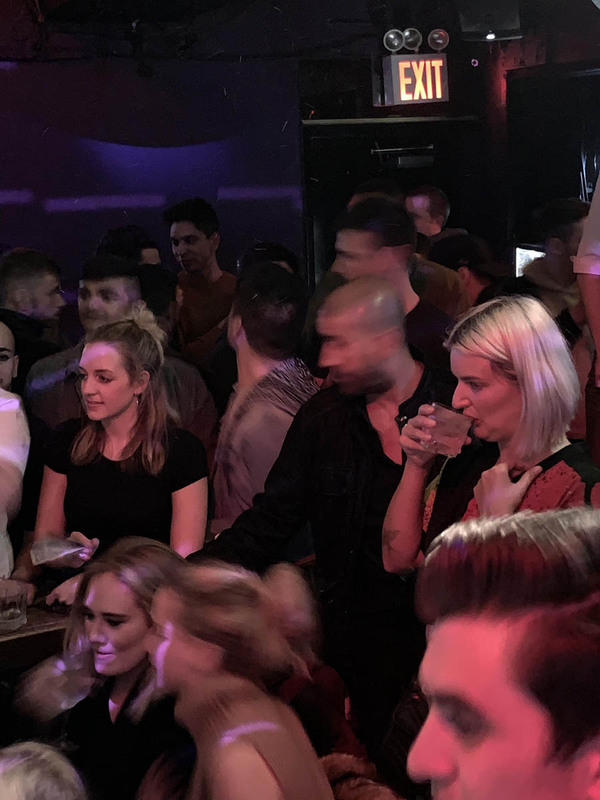 Clearly there was no “no social media – put your phones away” policy. 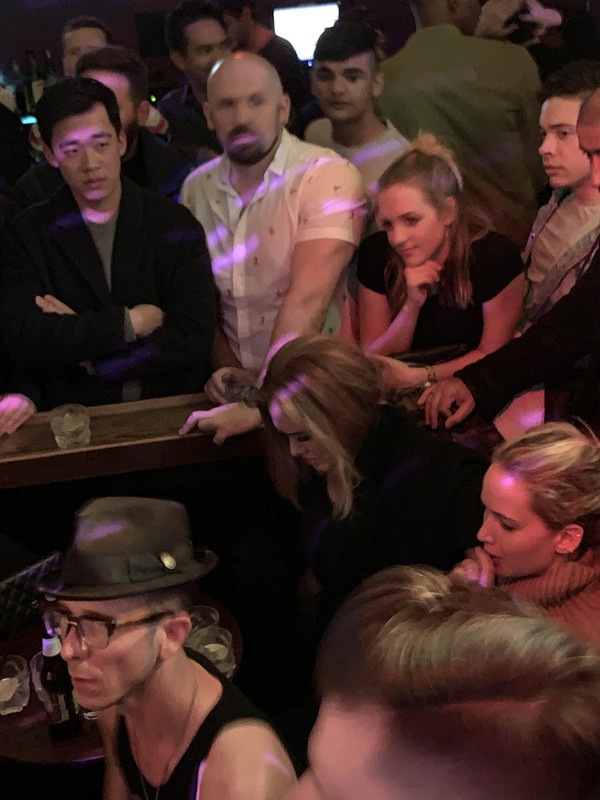 Because the footage is everywhere and if Adele and Jen’s bodyguards were present, they weren’t about to interfere in whatever mess that was about to ensue. It was messy. Fun messy. 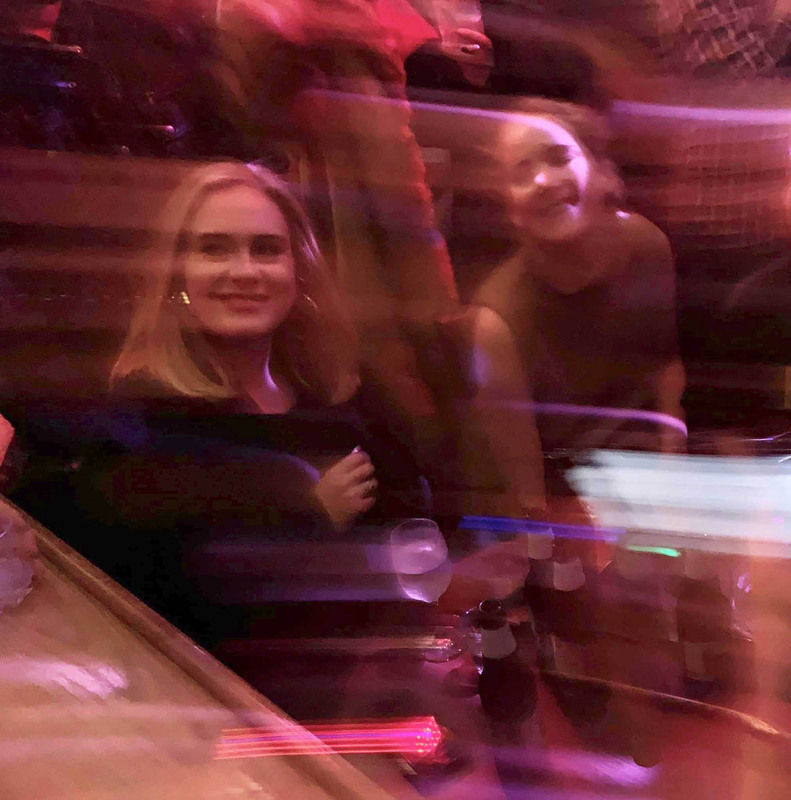 Here’s Adele, on stage being introduced before a drinking game. She refers to herself as a “stay-at-home mum”. The game was like musical chairs. When the music stops, you take a shot. OF COURSE they played to Kylie Minogue. As you can see, Adele wasn’t on it. 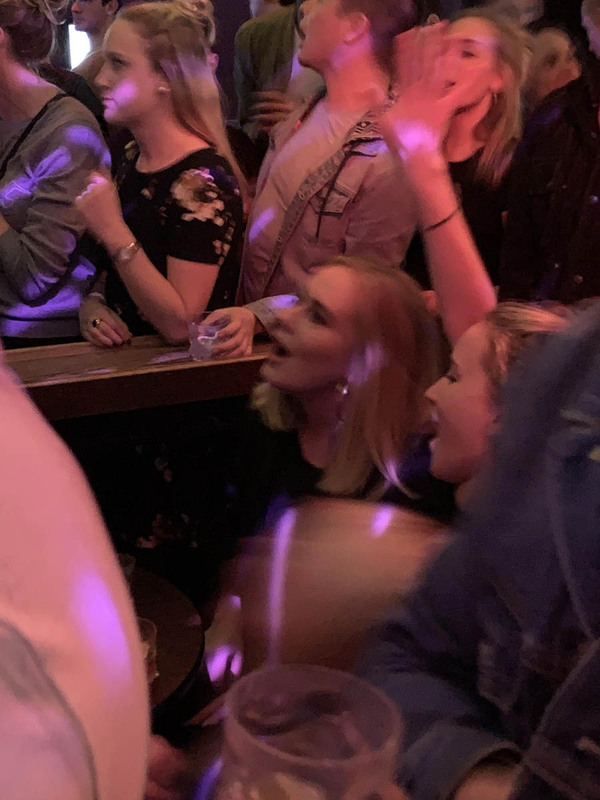 There are two videos here and in the second video, Jennifer is so clearly disappointed in Adele’s sh-tty reflexes, she weakly tackles her. They took pictures with people and went backstage for drag makeup tutorials where Jen was told by a queen that she has an Asian brow. Is the Asian brow a thing right now? I am Asian. I have Asian brows. I would like to be the current brow thing, but no one told me. Anyway, as we know, Adele doesn’t venture out too often. She’s super famous. She’s super low-profile, preferring to keep to herself in LA. So I have questions. What’s this NY trip all about? 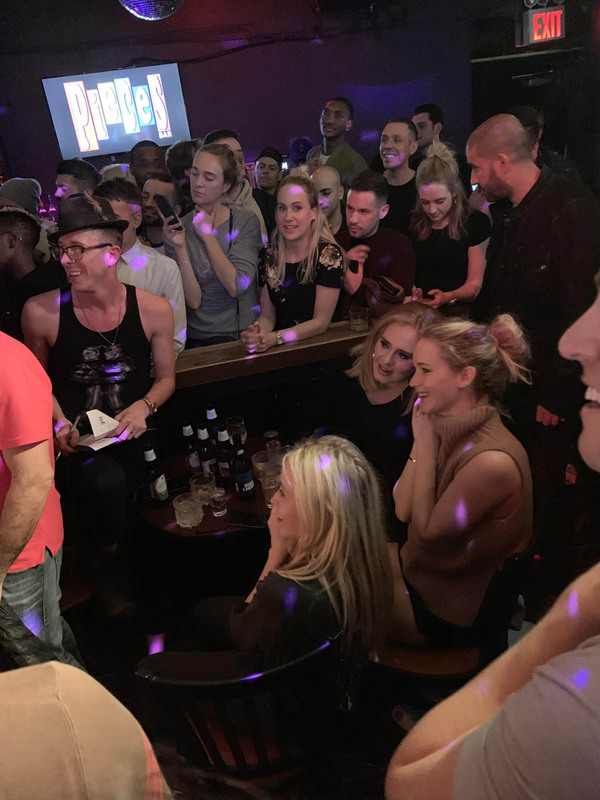 Was she just in town to see Jennifer Lawrence? For, like, a pre-wedding shower thing? 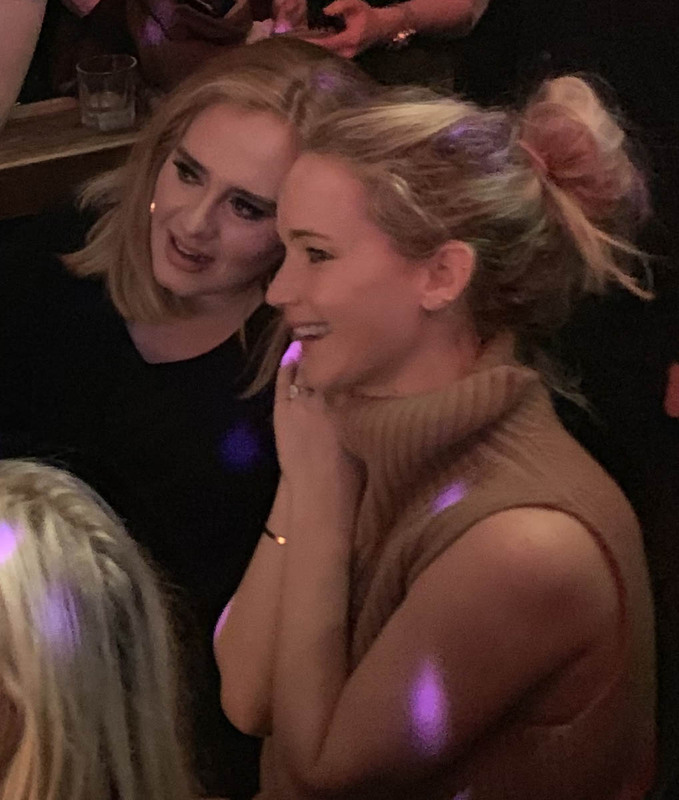 I can’t see Adele joining JLaw and all her friends for a wild weekend. Maybe she suggested that they hang, just the two of them, instead. Maybe she was in New York for other business. What business though? Adele’s on a long break. Like a years and years long break. She didn’t seem to be in any rush during the last album cycle to be back. In fact, I feel like she went out of her way to be all, I’ll be gone a long time everybody! Get ready for it! Then again, we had no indication before the last album cycle that she was working on a new album. 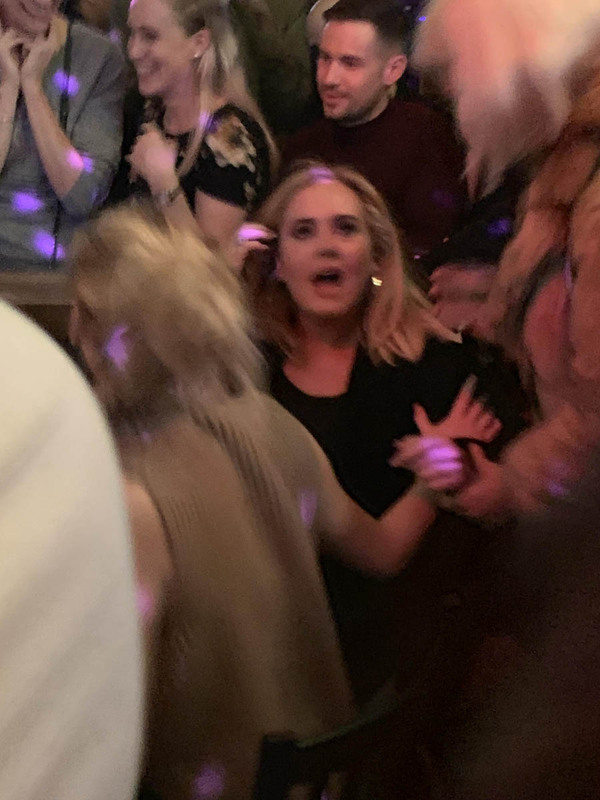 There were some rumours last year that she’d secretly started writing songs and that we’d be hearing something the second half of 2019. Those rumours, however, originated at The Sun, so you know, I don’t know how much weight we want to put into that.